I can’t get over how much I love this design! 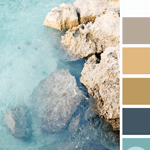 The color palette is just gorgeous, don’t you think? This look was inspired by my Turquoise Waters color palette that we looked at on Friday. 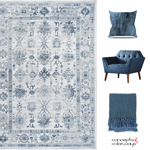 I wanted to explore this palette further and create a living room mood board showing how these colors could work as an interior design. 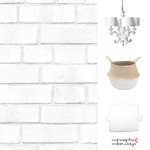 I’m picturing a mostly white room with white upholstered seating and accent tables. 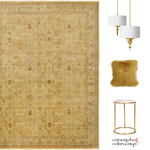 A taupe patterned rug grounds the room. Slate blue pillows add a pop of color on the white chairs. 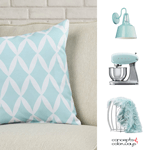 Then, I added light turquoise and teal accents in a table lamp and wall art. 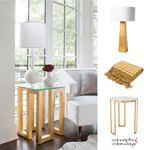 To complete the palette, brass and gold details were added in mini-pendants and the wall art. 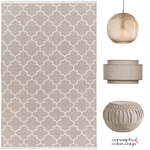 One last taupe piece with the coffee table and our living room is ready to go! The paint palette for this look is a favorite of mine. 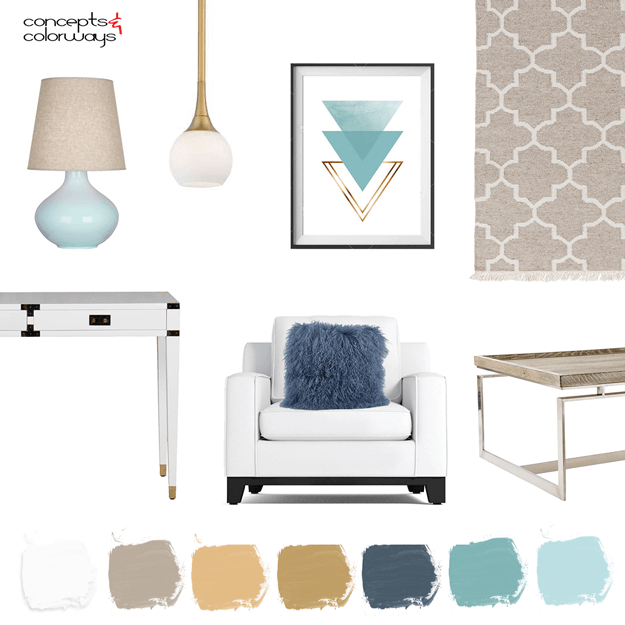 The combination of white, taupe, gold, brass, slate blue, teal and light turquoise is a great color combo! 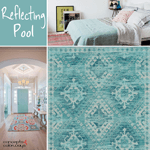 If you like this palette, you might also like my Reflecting Pool color trends post. 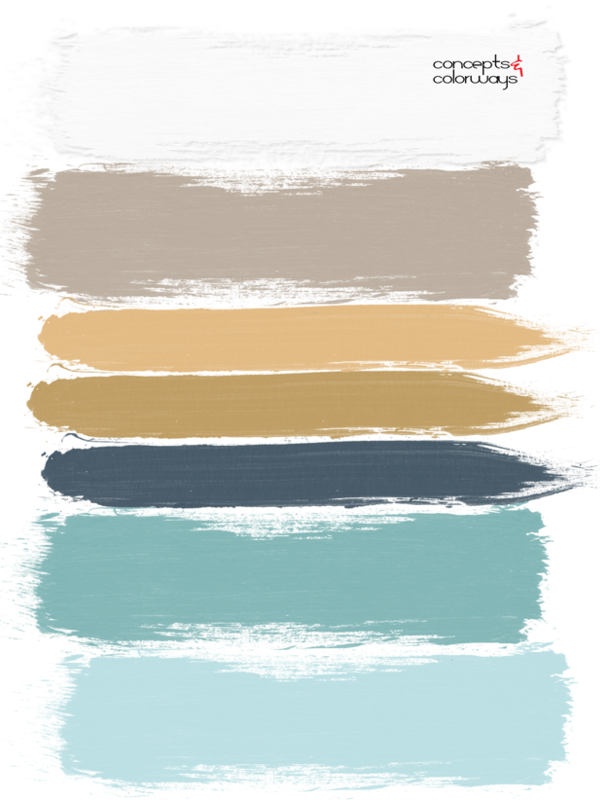 Other colors used in this palette are A Relaxed Navy, A Dazzling Gold, A Charming Taupe, A Tranquil Turquoise, A Dreamy White and A Brassy Gold. 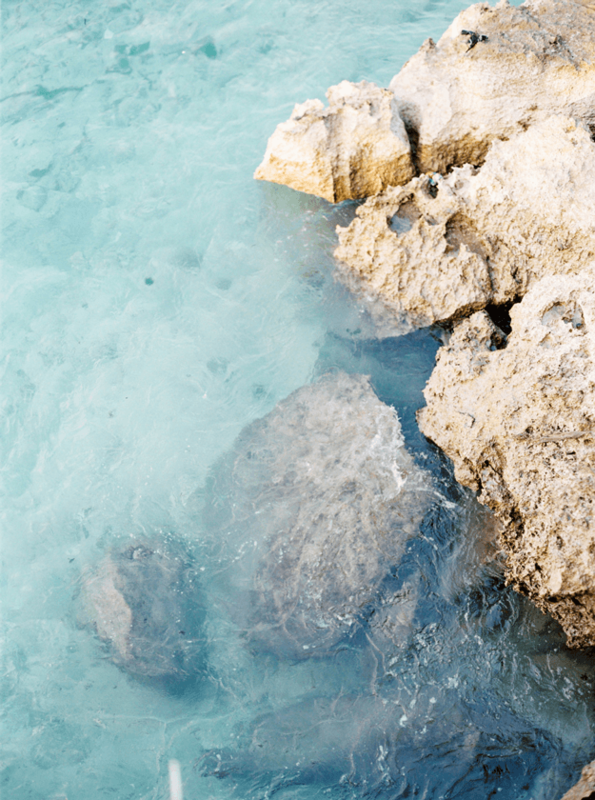 This look coordinates with my Turquoise Waters color palette.